The report on Human Rights and Democracy in the World 2012 adopted by the European Parliament reflects strong concern for the human rights situation in Tibet. The report reiterated the importance of mainstreaming human rights and democracy in all EU’s activities, and called upon the EU High Representative for Foreign Affairs and Security as well as the EU Special Representative for Human Rights to pursue the EU’s commitment of placing human rights at the center of all EU’s relations with third countries, including its strategic partners. It also stressed the crucial role played by civil society in the protection and promotion of democracy and human rights, calling on the EU to ensure a stronger cooperation with both civil society and human rights defenders. The International Campaign for Tibet (ICT) shares the EP’s concerns regarding the lack of concrete progress in several of the EU’s human rights dialogues, specifically pointing at the failure of the EU-China dialogue on human rights to achieve significant and tangible results. 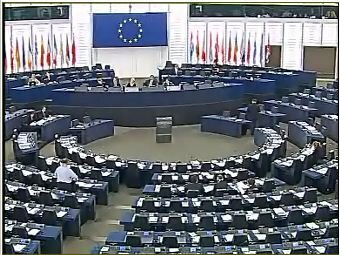 In this context, the EP urged the EU to pursue a more determined, ambitious and transparent human rights policy. These dialogues should be accompanied by clear public benchmarks for measuring their success objectively and when they are not constructive, the EU should draw clear political conclusions. This year’s report saw the addition of a new section on Business and Human Rights, highlighting that European companies should respect human rights standards in all their business and trade activities, including when operating outside the EU in developing countries and when cooperating with authoritarian regimes. This topic is becoming ever more important for ICT’s work in light of the launch of the negotiations for a bilateral EU-China Investment Agreement and with China’s plans for massive mining of mineral resources in Tibet, which will have devastating environmental and social consequences. ICT joins the EP in its calls on the EU to challenge the Chinese government on its human rights performance in both China and Tibet, and to promptly implement the EP’s recommendations in all its relations with China.